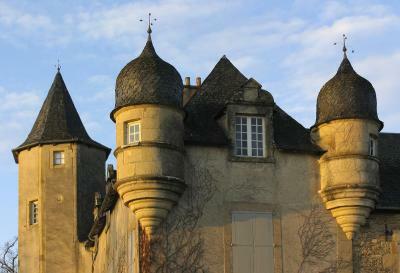 Lock in a great price for Château de Labro - Les Collectionneurs – rated 9.2 by recent guests! Everything! 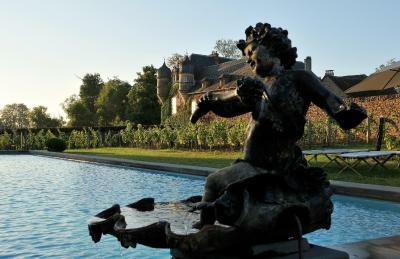 The grounds were beautiful and serene - the chateau was beautiful and well appointed. Great in-room amenities. The hotel restaurant was one of the best dinners of our 2 week trip, and the breakfast was delicious. Remy was extremely helpful and friendly to us each and every day. Créator, the puppy, made us smile every morning and night! 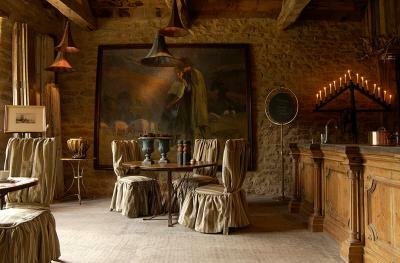 Great location for exploring Aveyron surrounding area. Great hikes and drives nearby. 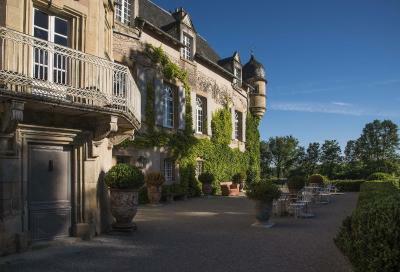 A perfect chateau hotel for a relaxing getaway. Chateau Labro is a lovely special place to be Not a detail is missing. 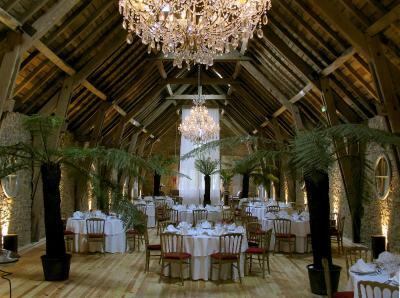 The chateau rooms are beautiful. 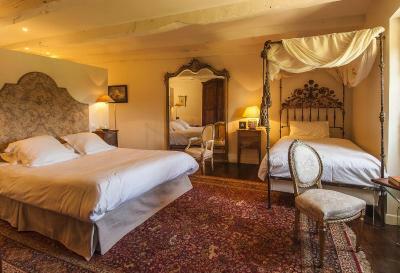 When you reserve be sure to determine that your room is in the Castle building.The restaurant is excellent a wonderful chef and staff. 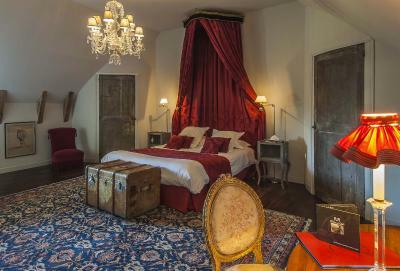 A warm welcome with a guided tour of property was a great start & our room, Cardinale, was lovely, spacious & very comfortable. Dinner in the bistro was equally good. B'fast buffet with good selection was delicious. Beautiful property & it gets better every time we stay! The resident dog was entertaining too! The weather was cool & windy so a pool swim was not on the menu sadly. 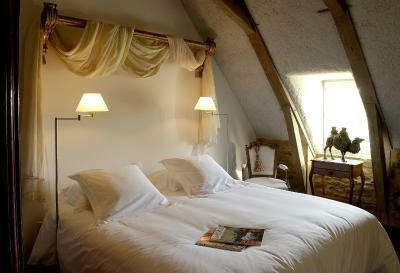 The beds were really comfy and the room was spacious. Food in the restaurant was excellent but limited. Breakfast was good. The Breakfast was superb. Also, the staff was very nice and helpful. 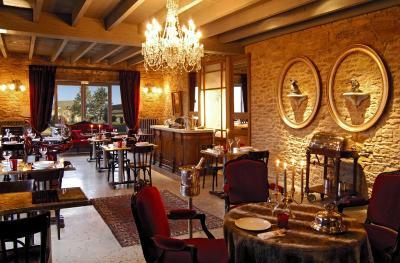 The staff was incredibly kind and helpful¡ We had a fantastic breakfast¡ Very beautiful landscape around. 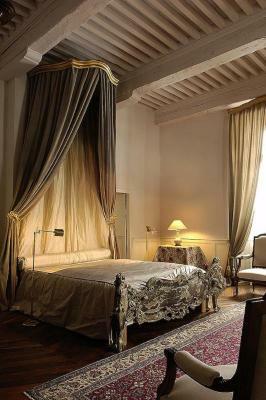 Excellent service, spacious room, attention to details. The decoration are made with precision and care. 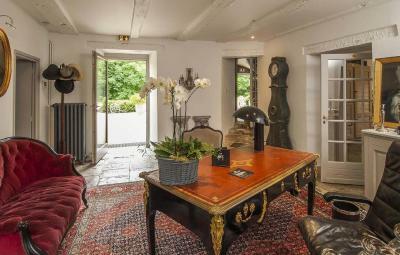 Downstairs, there is a salon for reading with a chimney. Quality breakfast, possibiity to sit outdoors. A really lovely hotel experience. 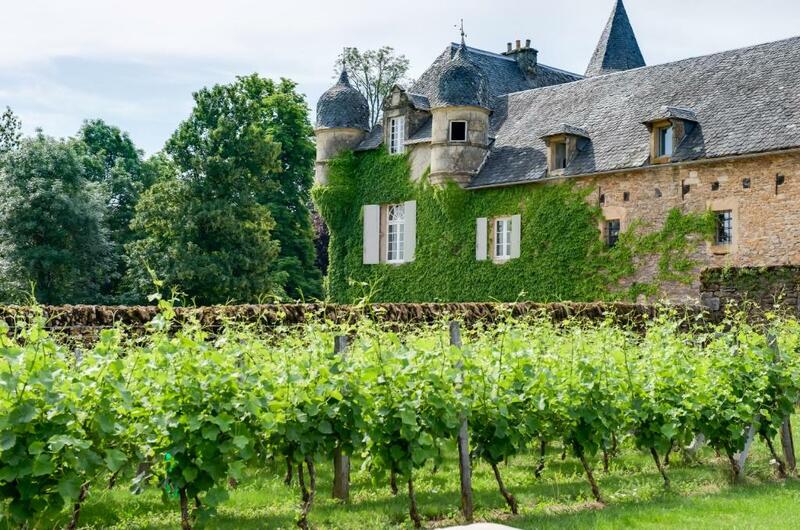 Luxurious chateau in beautiful countryside. Excellent dinner and superb breakfast. Everything home made and the dining environment quite the best. Great swimming pool in 34 degree heat. Just perfect. 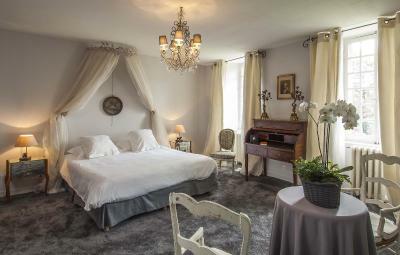 Comfy bed and cute room even though at the lower end of the price scale for the hotel. Will return. 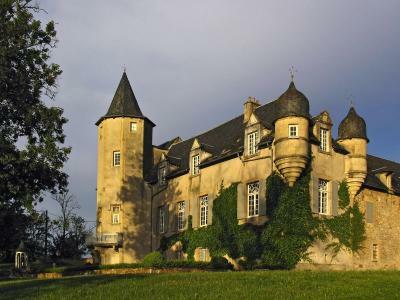 Chateau de Labro is 5 minutes from Grand Rodez Golf Club. 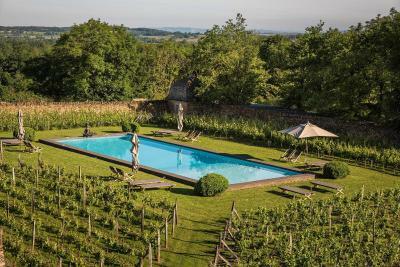 It offers a swimming pool in the orchard, a vineyard and a traditional kitchen. 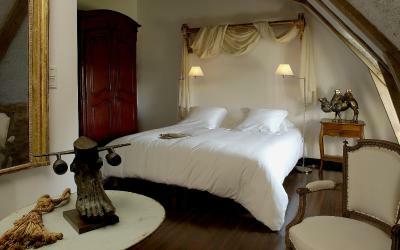 All of the elegantly decorated rooms are fitted with classic furniture. They all have private bathroom. 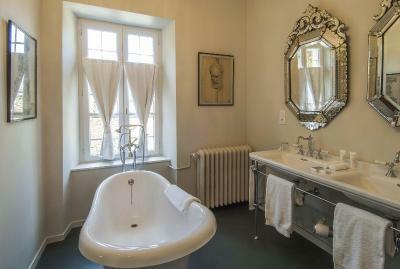 Some are fitted with a Balneo bathtub. 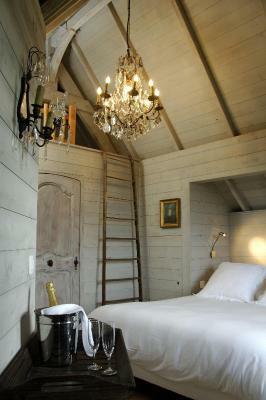 Chateau de Labro also offers a tree-house hut finely decorated and furnished. 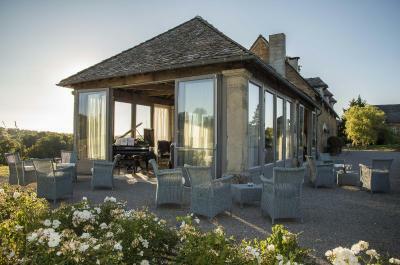 It looks out over the orchard and has private bathrooms. 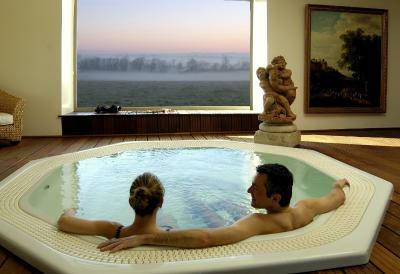 Guests can relax in the Chateau's spa center, which includes a hot tub and sauna, and offers a range of body and beauty treatments. 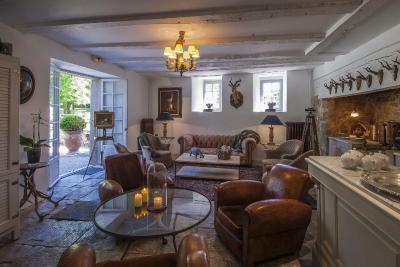 The daily breakfast is served in a fully restored barn furnished with antiques. 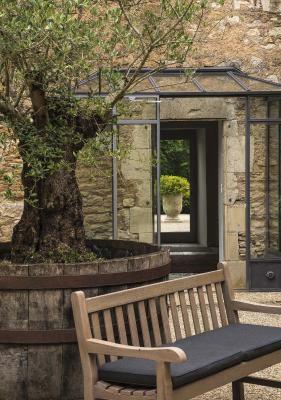 It can be enjoyed fireside or in the interior garden. 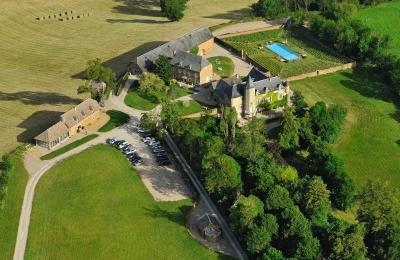 This property also has one of the top-rated locations in Onet le Château! Guests are happier about it compared to other properties in the area. 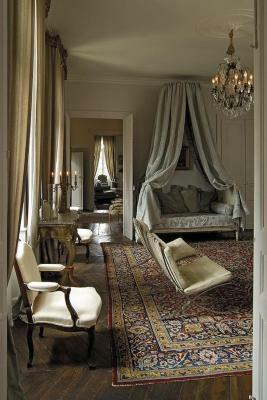 This property is also rated for the best value in Onet le Château! Guests are getting more for their money when compared to other properties in this city. 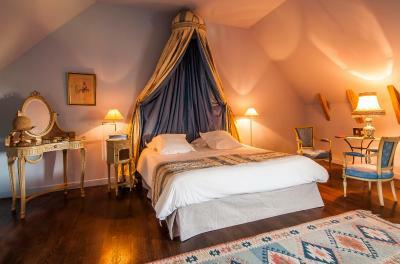 When would you like to stay at Château de Labro - Les Collectionneurs? 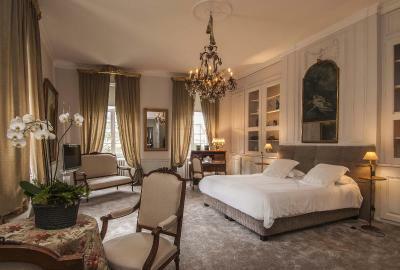 Decorated in an elegant style, this room features classic furniture and a private bathroom. This hut is perched on a tree and has views of the countryside. 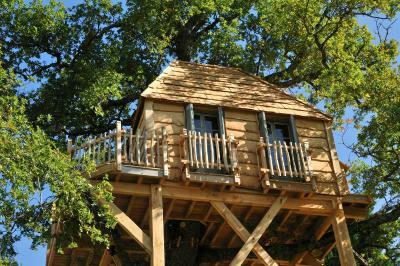 Guests can enjoy the nature surrounding the tree house. 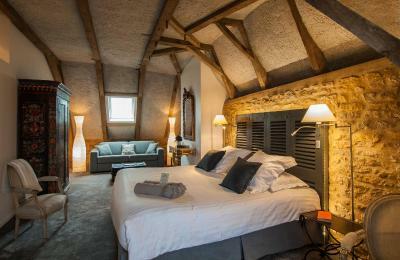 This large luxury suite features a refined décor and high ceiling as well as views of the castle's park and pool. 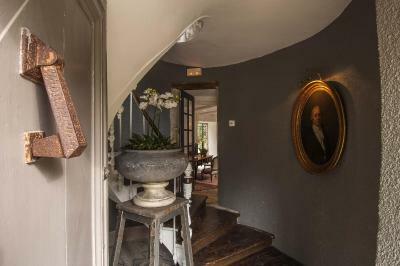 Set on the first floor, it includes a flat-screen TV, a mini-bar, a coffee machine and a safe. The bathroom has a bathtube, a shower, bathrobes and a hairdryer. Free WiFi, parking, and access to the wellness center with a sauna and a hot tub are included. 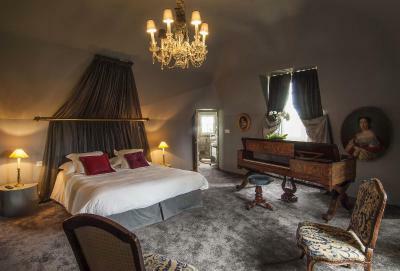 Set on the first floor of the castle, this spacious room offers views of the park as well as a bathroom with a bathtub and a shower, bathrobes and a hairdryer. There is also a flat-screen TV, a coffee machine and a mini-bar. Free WiFi, parking, as well as access to the wellness center with a hot tub and a sauna is included in the room rate. 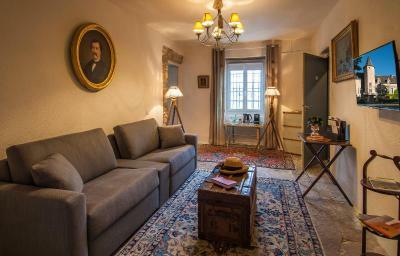 This spacious family room located in the castle includes 2 bedrooms with a bathroom. WiFi access and parking, as well as access to the wellness center with a hot tub and a sauna are included. 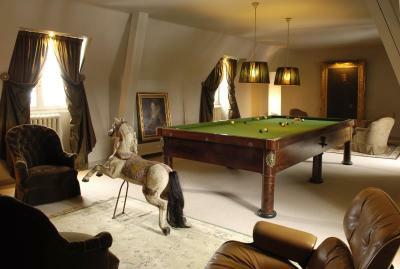 There is a billiards room near this room. 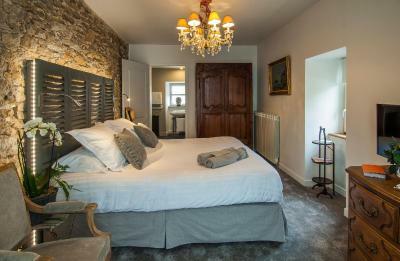 This double room features 2 single beds, a flat-screen TV, and a bathroom with shower, bathrobes and hairdryer. WiFi access and parking, as well as access to the wellness center with a hot tub and a sauna are included. 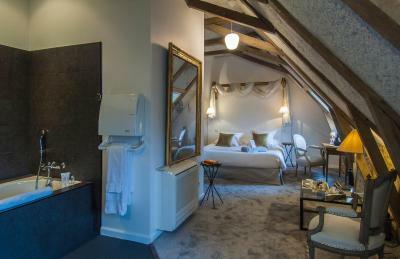 Located on the 2nd floor, this room has a renovated watchtower which now serves as a small bathroom and toilet. 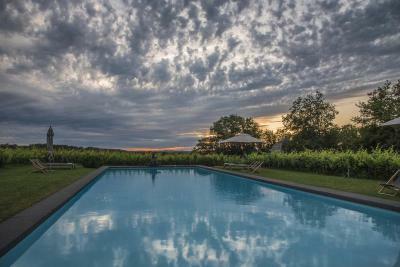 Guests can enjoy views of the vineyard and the pool. 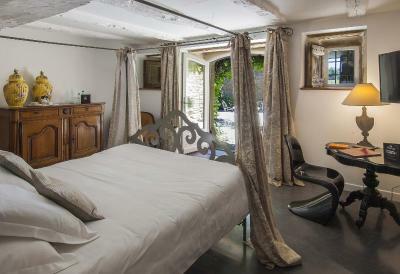 The room also has bathrobes, a hairdryer and a courtesy tray. 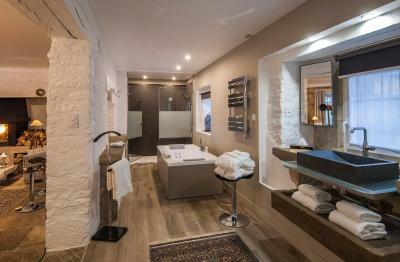 Guests staying in this room have access to the relaxation area which has a jacuzzi and a sauna. Free WiFi is available. 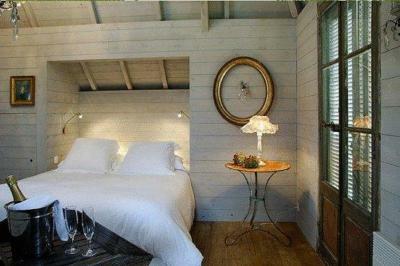 This room features a two-person spa bath, a fireplace and a walk-in shower. There is also a hairdryer, a bluetooth speaker, a safe and a mini bar. Guests have use of bathrobes and a courtesy tray. 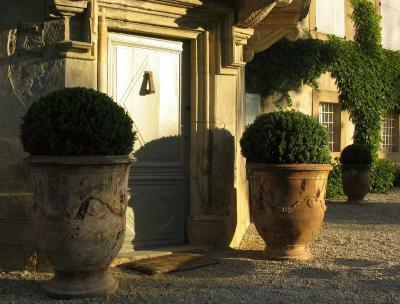 House Rules Château de Labro - Les Collectionneurs takes special requests – add in the next step! 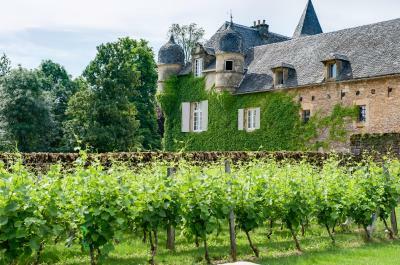 Château de Labro - Les Collectionneurs accepts these cards and reserves the right to temporarily hold an amount prior to arrival. We had an art- deco style room. Black and white very and luxe, with shower in middle of the room (wich we dont like, but for everyone different) and behind that a very beautiful ceramic double sink. But without room to put even a toothbrush and thats really annoying. 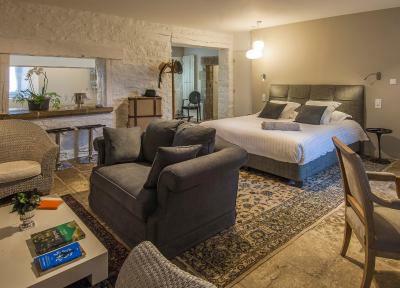 But the most grief for us was, that this is an expensive hotel (ca150€ a night) with a very good restaurant (they are members of the connaiseurs hotels witch we would like to visit all ;). But on our stay the restaurant was closed (MON and TUE) and i think that is absolutely insane. There u are in your expensive hotel with no bar, no food whatsoever nothing! Yes a leaflet to show you wich pizzeria you can visit 20km away, surroundings dark as hell, you dont want to do that when you did 600+ km already. I think it is proposterous to close your restaurant when you have a hotel. Close for 3 or 4 or 5 months but not when your open that is a slap in the face of your customer. I called customer service from booking, they were very nice and understanding. They promised they would look into my solution of mentioning a ‘“the kitchen is closed on your booking day” message before booking so you can look for alternative hotel. Dinner in the restaurant on the first night was somewhat disappointing. Not the food or the location. But the waiter seemed to imply that as a female single traveller, I was " unusual " Many flies and wasps in the dining areas, this could be solved easily with citronella candles or similar. 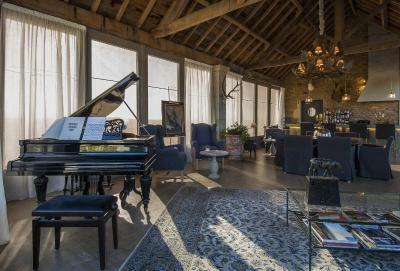 Given an amazing property I was very surprised this is not looked at. Only took dinner one night as a result, which was disappointing, given the menu and location and views from the restaurant. The only thing i can think of was lack of a shelf in the bathroom for our toilet bags. We loved the restaurant ambience (especially the bar/lounge) so much we kept saying it would have been nice if they kept the bar open at other times of day outside of just dinner time. 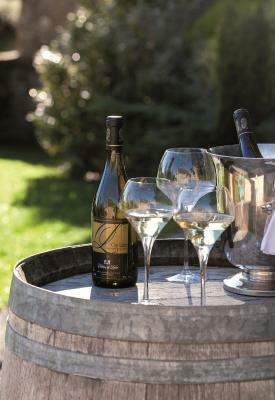 Maybe a daily afternoon happy hour? Also would love if there was an area that provided snacks or goodies during the day like meat and cheese or something along those lines. It was hard to find a member of staff. The staff multi tasked - booked you in, served in the restaurant and cleaned the rooms. This gave the impression that the establishment was being run on a shoestring for maximum profit. No bar apart from an honesty bar is one example. A very small fixed menu with no a la carte option is another example. 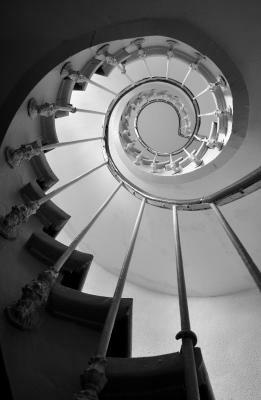 Watch out for the stair rods, they have a life of their own! There is only one restaurant at the property. As it is closed in January guest have no option to dine in.